1. Life has no problems. Most of us live our lives from day to day caring only about our immediate livelihood and environment. We think about our family, our children (if we have them), our home, our jobs, our future, our friends and neighbourhood. Occasionally, bigger issues concern us. The economy, politics, stock markets, inflation, national export, religion, etc. And so, in a constant and unchanging environment, we can go on happily living our as it is. But sometimes, this comfortable feeling is disturbed. There are things that are not quite right in our thinking. There are serious matters that needed to be resolved. The neibourhood is crime infested, the streets are dirty, the policemen are corrupt, the education system is backward, society is unjust, the government is incompetent, etc. Many people now feel the same way. They are not happy. Something must be done, but what to do? 3. The Hopelessness of One. Now we feel hopeless. There is an issue that we can identify. We want to do something, but what can one person do? This is a very common feeling. Social upheavals and changes in history come in many forms. Sometime it is a popular movement of the mass, like the uprising of the French Revolution or the Russian Revolution. But very often, changes also come from the Power of One. The movement that led the Indian to independence was from one person. Mahatma Ghandi. The unification of Vietnam was through the inspiration and leadership of one person. Ho Chi Minh. The unification of China was one person, Mao Tse Tung. The power of one person is small, but if that one person can inspire and lead people, the power of one becomes the power of many. If we really believe in something, we can start something. It may not be as big an event as Mahatma Ghandi or Ho Chi Minh, but we can do it, from our small neibourhood, our district, our province, etc. It is about the vision and commitment. Welcome to CSR Universal. 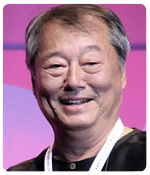 ADFEST is Asia’s most celebrated and recognised regional creative festival. ADFEST not only raises the standard of creative excellence in the region, it also celebrates the uniqueness of local culture. It is a learning hub for those in the communication industry through showcasing of the region’s best creative works and inspiring content from experts in various disciplines. It is also the perfect place to relax, learn, and meet new friends in the industry. On behalf of the ExCom of the CSR Universal, I am most happy to welcome you to our project. GOOD CSR & CITIZENSHIP has forever been the foundation of all truly great societies and honorable nations. In order to maintain and promote the values of compassion, trustworthiness, and integrity that serve to define the Good Corporate Citizenship, the CSR Universal Network is proud to have created this community based platform to empower corporate, individuals, civic organizations, schools, and business groups to promote their projects and to share their perspectives and potentially life changing stories. 2. Introduce, showcase, and promote the best CSR projects, social marketing campaigns that can truly serve to make a better lives, environmental and economic progress. 3. Sharing the innovative and effective solutions for today's challenges of the world. Allow me to extend my thanks to our many partners, endorsers, as well as the various media enterprises and friends, staffs who have chosen to join with us in providing so many forms of invaluable support for the CSR Universal Network. May the projects hosted here succeed richly in their respective aims, and may all who assist them experience the best of health, joy and happiness during their time in this marvelous world. 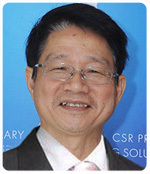 I greatly welcome Mr. Tran Hoang's initiative to establish CSR Universal organization. In today's times, we need many sincere movements that promote environmental sustainability. Therefore, a community-based platform such as CSR Universal is expected to make significant contribution in empowering people, institutions, government and business sector. This is also consistent with the concept described in my book, Marketing 3.0: From Products to Customers to the Human Spirit, which was created together with Philip Kotler; the book has already been published in 27 languages. The fundamental idea is that we can no longer conduct business and move forward only to the pursuit of profit. We also need to consider the impact on people and planet. We should not only seek to satisfy consumers but also make people's lives better. I hope that CSR Universal becomes a much esteemed platform that can invite a number of stakeholders to work together in accordance with the spirit of Marketing 3.0. Starting from creating an initiative to make the world a better place, conducting research on related fields, participating in events supporting the causes, or perhaps simply sharing their experiences and stories which can inspire stakeholders in CSR Universal. Here's to sincerely hopefully the collective activities of all the stakeholders in the organisation can make a difference and create a better world. In today contemporary business world, making profit is no longer the ultimatum of a corporate but how it functions and projects itself as a corporate citizen is what matters most. 20 years ago, there was no such thing like CSR in Vietnam, even the slightest hint. Having the privilege of setting the CSR in motion, though quite unconsciously at the time, and subsequently being fortunate to lead the CSR agenda of a major MNC for a span of more than two decades, I have grown profoundly passionate with the cause as it has widely and deeply got set in. Overcoming the various challenges of lacking awareness, appreciation and especially a systematic approach to CSR in the business community at first, I am delighted that many local companies have now stepped up to contribute back to the society – the social unit without which there would be absolutely no reason for their existence. While being mindful that corporate social responsibility goes beyond voluntarism and philanthropy as there is more to be involved, the continuity of such effort via an integrated approach is an important consideration for businesses as they remain heavily relying on the support and validation of worthiness from the community. “The emphasis placed by more and more companies on corporate social responsibility symbolizes the recognition that prosperity is best achieved in an inclusive society”, Tony Blair – former UK PM once asserted. Thus, CSR is exactly a two-way street where the perceived benefits fare both ways, mutually and interdependently. No business can be righteously thrived at the expense of the community it is in. With increased criticality, as a result, CSR has become an integral part of the corporate’s strategy to ensure its sustainable development. It purports us to be a positive force for change in our communities and conscientiously drive sustainability and innovation into the value chain to better off as a whole eventually. To do so, we must be absolutely insightful and sensitive to the multiple issues facing our concerned community, at the same time address them with great care and cognizance. Sustainability is a journey with no end, and so does CSR. So let’s stay committed on course! 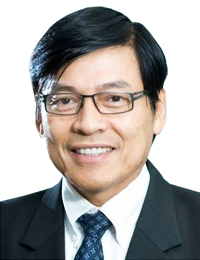 Dr. Dinh Toan Trung has 25 years working experience in multinational companies, such as UBS AG, Credit Suisse, Trisa AG, and Holcim Ltd, but also as entrepreneur, such as co-founder of a leading packaging company in Vietnam, managing director of PAT Industrial Park. 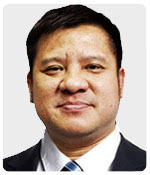 He was also a strategy consultant for many companies in Vietnam, such as Holcim Vietnam Ltd, Viet-A Bank, PAT Industrial Park, Thien Y Packaging, Fideco JSC. 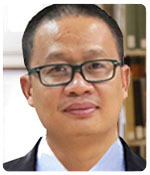 Dr. Dinh has also spent several years in the field of education as Professor at the University of Applied Sciences and Arts Northwestern Switzerland for Strategy, International Management. 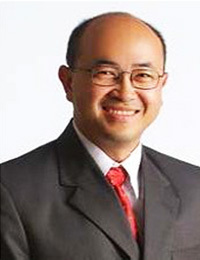 Dr. Dinh was also a lecturer for Change Management in a Swiss program “Train-The-Trainers” for senior government officials in Beijing and Founder of a successful Swiss Master’s Program with a focus on Finance and Banking in Ho Chi Minh City. 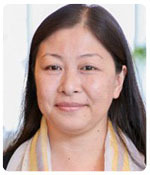 In research, Dr. Dinh is Portfolio-Partner of International Center for Corporate Governance at the University St. Gallen. 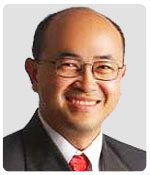 Dr. Dinh has received his Ph.D. of Economics from University of St. Gallen, and a Master degree in Management from University of Fribourg, Switzerland. Ph.D. of Economics and Entrepreneur. 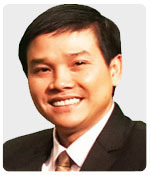 CEO, Khuê Văn Academy. MSc of Sociology, London School of Economics and Political Science. BA. in Economics, UEH. The author of the famous book, "Father's Gift," has published over 50,000 copies nationwide, and has been selected into the world library system and several US universities such as Yale, Cornell, Washington. Lecturer, fire propagator, family education counselor. In this rapidly changing, dynamic and at times, turbulent environment, there are many challenging social, economic, cultural and environmental issues to address, in order to make the world a better place for all. I deeply congratulate Tran Hoang, Founder and Chairman of CSR Universal, for coming out with such a crucial initiative that will help to address some of these critical issues. Together, I believe we can further make a meaningful difference to humanity – for the present and future generations to come! 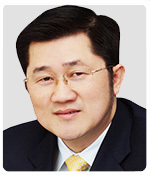 Director of the Nanyang Technopreneurship Center Nanyang Technological University. Singapore. 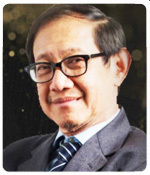 He is a Supervisor of the Asia Marketing Federation Foundation, a Vice-President of the Asian Council for Small Business, an honorary consultant for the CCPIT Commercial Sub-Council, an advisory board member of SBM, ITB and the Times Higher Education, Times of India and Advisor of ICSB Singapore. Den was a Visiting Scholar at the Sloan School of Management, MIT and is a Chartered Marketer (CIMUK), Chartered Accountant (ICAEW), Chartered Management Accountant (CIMA) and a Babson TETA Fellow. 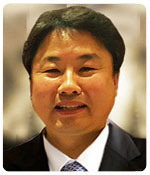 He received his PhD (in auditing) from the University of Manchester, England. Together with Philip Kotler and Hermawan Kartajaya, he co-authored Rethinking Marketing (also with Sandra Liu) (, Think ASEAN! , Think New ASEAN! and Marketing for Competitiveness (2017). 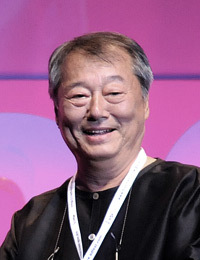 Den was conferred the Distinguished Global Leadership award by the Pan-Pacific Business Association in 2011, the ICSB President’s Award in 2014 and a Fellowship by the Marketing Institute of Malaysia in 2016. MSc of Psychology, University of Education, Ho Chi Minh City. 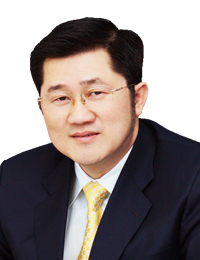 University of Economics Ho Chi Minh City Secretary General, Vietnam Marketing Association. From my heart to yours, please accept my warmest greetings! Let me start with a common question. HOW DO WE CHANGE THE WORLD? And let me share my point of view. ONE ACT OF RANDOM KINDNESS AT A TIME! It all starts with one; you, me, a family member, a friend, a partner in business or life, a neighbour, an acquaintance, and even a total stranger on earth…, connecting through an extremely simple and ordinary shared platform: THE EXISTING & NATURAL GOODNESS THAT WE ALL POSSESS. My friends and I welcome you on this emotional and fulfilling journey to happiness, be it personal or larger than life. Mrs.Indira Abidin is the Chief Happiness Officer of PT Fortune Indonesia Tbk, Indonesia’s leading integrated communication firm. 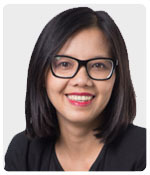 Graduated from University of Indonesia’s School of Economics, and Boston University ‘s School of Education, Indira has served the communication industry for over 20 years. 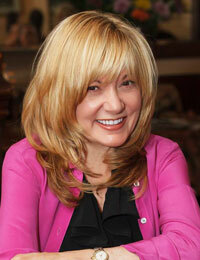 She is widely recognized as a driving force and an influential fugure in Indonesia’s PR industry. She has won many awards, including Indonesia’s Top Moslem Leader 2016, , Brand’s Healthy Inspirational Figure Nominee 2015, Asia Pacific PR Power List 2014-2016, Indonesia’s Wonder Woman 2014, Swa Magazine’s Best Future Business Leader 2013, Indonesia’s Women Award 2012. She is an Accredited Certified Coach, Erickson Professional Coach and Indonesia Accredited Public Relations Practitioner. 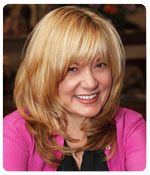 She is a very active blogger, writer, social media engager, and public speaker. She has also been an active advocate in CSR fields in Indonesia. As a cancer thriver she has also established Lavender Ribbon Cancer Support Group, a forum for cancer thrivers to share experience and support each other. Founded in 3rd Feb 1994, Lac Viet Corporation is a leading provider of IT products and services in Vietnam. We provide all types of software, hardware and services including: Software development; System integration, Online services with cloud based DC; Leasing and licensing by SaaS model; and System maintenance, BPM services. With thorough understanding of our client´s needs of market and professional deployment process (Quality Certified: CMMI Level 3, ISO 27001, ISO 9001:2008), Lac Viet commits to help clients accomplish more with added values from our solutions. Over 20 years, Lac Viet always follows the mission of building profitable information capital for organizations and people. With a dynamic and creative team of nearly 500 employees, Lac Viet is pioneer to bring you proactive and helpful solutions which improve efficiency and maximize your return on investment. Here are our typical best-in-class solutions: SureERP, SurePortal, AccNetC, SureHCS, SureLRN, E-Public Services solutions, and Dictionaries Lac Viet mtd… We are proud to offer IT products and services which are now becoming a trusted companion of many users from students, office employees to enterprises, education organizations as well as public sector. 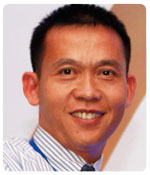 QUYEN NGUYEN Director, CEL Consulting, Co-Founder, Vietnam Supply Chain . 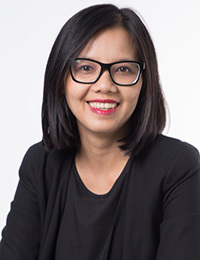 Since 2008, she has co-founded Vietnam Supply Chain community, a non-profit organization to raise awareness of supply chain management among businesses and 11,000 professionals in Vietnam. 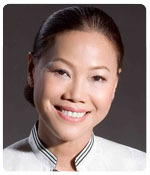 She also represents Supply Chain Asia in Vietnam with 20,000 members in the region. 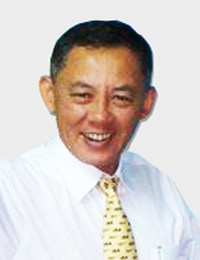 As Director at CEL Consulting, Quyen is in charge of business operations in South East Asia, developing internationally recognized training programs and certifications in supply chain management from leading bodies of knowledge such as APICS Supply Chain Council, ISM Institute for Supply Management, MIT Massachusetts Institute of Technology, CILT Chartered Institute of Logistics and Transport. Her passion is to create arts. 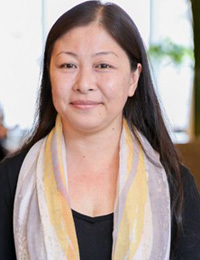 In 2014, she won the Asian Creative Awards, and since then, she has exhibited art collections in Tokyo, Osaka, Hong Kong, Shanghai, Bangkok, HCMC, Hanoi. 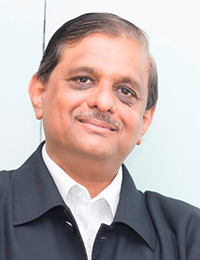 Bharat Avalani is a Unilever Veteran who has crisscrossed 67 countries. He comes with 25 years of experience in Brand Management, Consumer Insights, Media Strategy, Brand Activation, Market Development and Integrated Brand Communications. 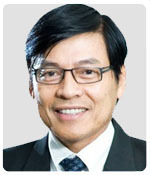 He was the Regional Integrated Brand Communications and Market Development Director for Unilever’s Homecare category across Asia, Africa, Middle East and Turkey. 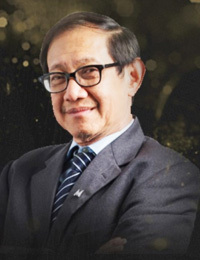 He is the CEO of Connecting the Dots Consultancy and the Global Partner of Anecdote International, recognized as a world’s leader in the use of storytelling in business. He is an expert in designing and delivering brand experiences — and in what better way than to use stories. He conducts Storytelling for Leaders workshop where he helps Leaders find their stories and teaches them how to tell it. 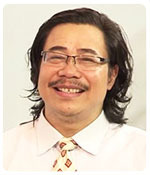 Amidst all, Bharat has served as President of the International Advertising Association (IAA) Malaysian Chapter, was VP of the Malaysian Advertisers Association (MAA), and was Board Member of the Audit Bureau of Circulations (ABC) Malaysia. 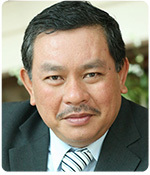 Bharat is currently on the Executive committee of the Asian Federation of Advertising Associations (AFAA) & IAA Malaysia. 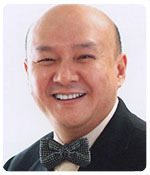 He has also shared his pointed views and experience at key industry events. Bharat who has a post-graduate qualification in Marketing, was also bestowed the Achievers & Leaders Award for Brand Leadership at the IALA Conference in Singapore and the Brand Leadership Award at the World Marketing Summit . 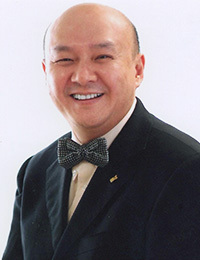 He is also a NLP trainer certified by the American Board of NLP. A Vietnamese proverb said: “The faster it grows, the sooner it declines” (Bạo phát, bạo tàn). Almost everybody must have agreed with this concept of sustainability. It means you had to look at your future for strategic planning, in order to make use of your available resources. If someone said no, they might not believe in their future, so they couldn’t help falling with short term benefit attractions, which temporarily brought them to a better position, but not direction. In agriculture, sustainability requires responsible farming as the most crucial criteria of all. Responsibility mindset is critical for any social connection; it reflects the cultural background of a community. Thus, to create a sustainable agriculture, we need to go with holistic solution between Social responsibility and Agricultural practices. The CSR network creates a ground for those solutions (Health Care, Education, Environment, Sustainable Agriculture...). I hope you’d join it and contribute to its success.